Chesterton, Ind. — The Indiana Department of Transportation will make available at least $125 million for high-priority railroad safety projects on local roads statewide through the agency’s new “Local Trax” matching grant program. 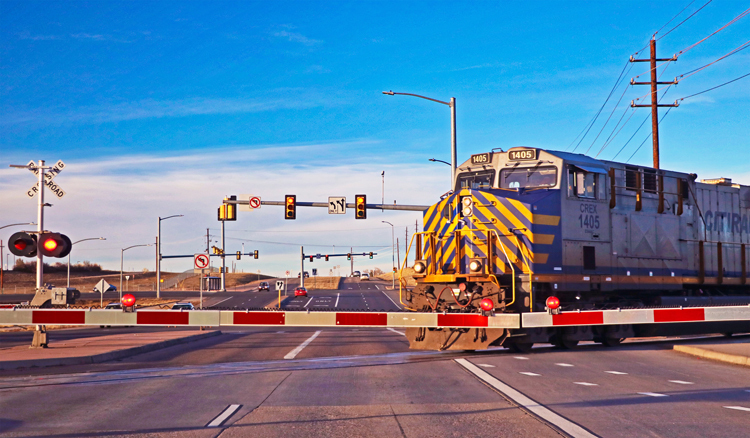 Local Trax provides state matching funds for Indiana cities, towns, and counties interested in pursuing high-priority railroad grade separations, crossing closures, and other safety enhancements at railroad intersections with local roads. INDOT began accepting project proposals from local agencies in May. The application window will stay open until August 31, with the awarding funds expected to be announced in late summer. Local Trax requires local governments to provide only 20 percent of funding for land acquisition and construction with the state providing the other 80 percent. The goal of Local Trax is to encourage partnership between the state, local governments, private businesses, and railroads to increase safety, improve mobility, and enhance the quality of life for Hoosiers. Funding authorization for Local Trax was granted in HEA1002-2017, the long-term, sustainable road funding plan passed by the Indiana General Assembly and signed by Governor Holcomb in April 2017. More information about Local Trax is online at http://www.in.gov/indot/2390.htm.